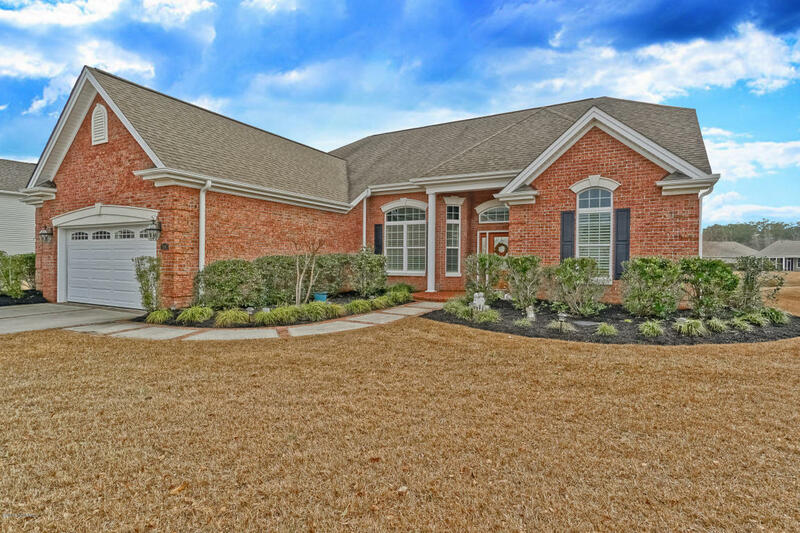 Welcome home to a this custom built, all brick home in Spring Mill Plantation. Built in 2010, this home offers a bright, open floor plan w/3 bedrooms, 2.5 baths, Bonus Room & 2 car oversized garage. This gently lived in home contains all the sought after features that today's home buyer is looking for. Walking in the front door you quickly notice the gleaming hardwood floors in the main living area, granite counter tops in the kitchen & bathrooms, stainless steel appliances, tiled backsplash, under cabinet lighting, alarm & sound system, tankless water heater, gas log FP, & a Sun Room. There is an additional heater in the owners bathroom, a central vaccum system, vaulted ceilings, water heater in the kitchen, dual zone heating and air & irrigation system.